In a word, no. There are no pineberry seeds for sale anywhere. And, if you are trying to buy pineberry seeds on the internet, steer clear of anyone trying to sell them. Pineberry seeds are not likely to produce plants that grow to produce anything like the unique pineberry, and the fruits that are grown may not even taste like a pineberry. Pineberries are hybrids. They are a cross between two different species of strawberry plants. They are a cross between the white beach strawberry native to South America (Fragaria chiloensis) and the native North American strawberry (Fragaria virginiana). The resultant cross, Fragaria x ananassa, is similar genetically to the common Garden Strawberry that most people pick up at the grocery store on a regular basis or grow as a perennial in their gardens. The problem with all such hybrids is that second generation plants grown from seed do not grow true to the characteristics of the parent plants. So, it is random genetic chance as to which traits are manifest in pineberry seedlings. Any retailer would likely have to deal with a lot of irritated customers who tried to grow pineberries from seed. Knowing that, all reputable sellers will make a clear disclaimer prior to offering pineberry seeds for sale, and, more likely, just won’t sell them. You may not find pineberry seeds for sale, but you CAN buy pineberry plants. Buying plants guarantees that the fruit harvested from them will look and taste like pineberries because they are grown from runner plants with identical genetic makeup to the parent pineberry plants. As pineberries do not produce as many strawberries as a typical strawberry plant does, they are mainly grown as a novelty, and there is a relatively small market for them at present. Consequently, few sellers sell them, and supplies are limited. If you are interested in obtaining your own plants, it is advisable to get your order in early. Go to the Pineberry Pineberries page if you are interested in purchasing one of the three major pineberry varieties or growing pineberries yourself. Hi, there are someone who could tell me where i can buy pineberries roots? Thanks!! Try these suppliers. Good luck! I understand that being a hybrid, pineberry seeds may turn into a variety of plants, but I was curious if there is any chance whatsoever that pineberry seeds could produce a desirable fruit. Yes, it is possible. If you try it, let us know how your experiment goes. Good luck! Ahhh got your message I don’t see your email but saw this and thanks for reply so you saying this website burpee.com is the better buy seeds ?? Actually, No. What I am saying is that you can’t buy seeds from reputable dealers. You have to buy the plants, which are cloned daughter plants (genetically identical) to the mother plants (which are Pineberry plants in this case). The genetic material that is distributed into the seeds is more diverse than the genetic traits manifested in the plant. So, when you plant a seed, you don’t necessarily get a plant that expresses exactly the same genes as the plant that produced the seed did. The genes that express themselves are different. And, since the genes that produce white, pineapple-tasting strawberries aren’t as common (how many white, pineapple-y strawberries do you see around), the chances of the random expression of genes yielding such a berry is not very good. So, knowing that, reputable sellers don’t sell pineberry seeds because of the high likelihood of disappointed buyers who wanted something different than they ultimately got. Naturally, you will find someone who will try to make a quick buck, and they even might sell you genuine seeds that were collected off of an actual pineberry. But, they are either unaware of how strawberry genetics work, or they are unethically making a buck off a consumer they are likely to disappoint. Either way, it is better to buy the cloned daughter plants and avoid pineberry seed sellers. Burpee is a good place from which you can buy legitimate pineberry plants. Hope that helps! burpee.com is the only reputable site I found selling these plants. I can’t wait for mine to ship so I can plant these babies and give them a try!! Congratulations! Burpee is indeed a reliable seller. The others listed on this page should be as well. Good luck! Is there a website selling these? Don’t hate me just wondering! There aren’t any reputable websites selling Pineberry seeds of which I am aware. You can sometimes find them on spammer sites and on eBay from less-than-savory sellers. Where and how can these plants be grown? They can be grown most places where regular strawberries can be grown. 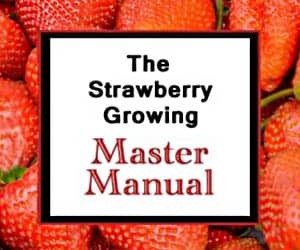 See here: How to Grow Strawberries in 10 Easy Steps. Good luck! I find this a very nice variety and are interested in buying the seeds. A question .. Can be grown for commercial purposes (grow plants and then sell the fruits) or the hybrid is subject to some “right of first refusal”? You could purchase the plants from one of the suppliers and then sell the harvested fruit. However, pineberries will not grow true from seed as they are hybrids. As far as I know, no one has received a plant patent on the genetic structure of the pineberry plant. The suppliers are listed on the main Pineberries page. Order from whichever you prefer! BTW it says on it its Fragaria Versca. You can grow those seeds, assuming they are viable. Fragaria vesca is, however, not the same thing as the Pineberry. With the popularity of the Pineberry increasing because of its unique qualities, some less scrupulous people are renaming any white strawberry they find as the Pineberry. Pineberries are a hybrid (Fragaria x ananassa), and will not grow true from seed. Fragaria vesca is more commonly known as the Alpine Strawberry, WILL typically grow true from seed, and IS NOT the same thing as this Pineberry. Regardless, good luck with growing! I have found a supplier of the plants but wondered how to tell if they were ripe and ready for eating? The fruits will be soft and will give/indent with very little pressure when they are ripe. They also might have a reddish or orange-ish blush to them. Good luck! I am not aware of anyone in Australia that sells them as of yet. All of the suppliers I am aware of are listed on the main pineberries page. If you discover any sources of plants or berries in your country, please do let me know. I’ll include them on the page for the benefit of all. Thanks! I wanted to buy pineberry seeds for shipment to Northern Spain. Can you supply or provide a supplier. Thank you. Pineberries are a hybrid. Hybrid strawberries will not grow true from seed. So, even if you were to obtain pineberry seeds from someone who offered them for sale, they would likely not produce plants and fruit like you would expect. This is discussed above. Click the appropriate link above to go to the main pineberry page where you can buy the actual plants. But, getting them to you in Spain will take some effort. See the Shipping Strawberry Plants page for more details.